On the fifth anniversary of the festival, LagosPhoto expands in 2015 with "The Year of Photography," a year-round programme of exhibitions and workshops in Lagos. 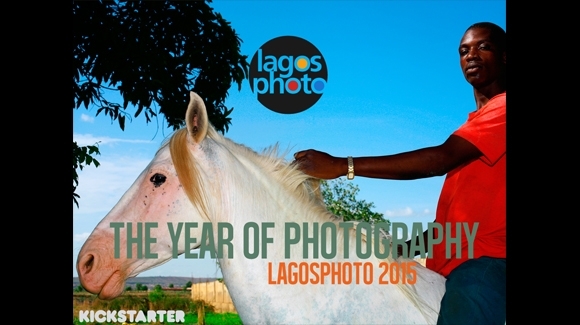 As the festival outgrows its month-long annual presentation to encompass a comprehensive and permanent educational platform, LagosPhoto will present a ten-month initiative leading up to the sixth edition of LagosPhoto in October 2015. Programmes will include a series of solo exhibitions highlighting new work of participating artists, a group thematic exhibition that explores the relationship between photography and design, residencies for international artists to produce new photographic work in Lagos, and workshops, talks and extended mentorship for emerging photographers. The Year of Photography will allow renowned international and local photographers to interact with new audiences in the country, promoting quality artworks to the forefront of Nigerian culture. This project has been selected by Art Basel's independent jury to be a part of the Art Basel Crowdfunding Initiative.